I read an airplane magazine on the way to Nagoya last month. 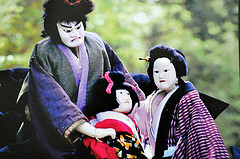 There was an article about a Japanese puppet show in a small village. 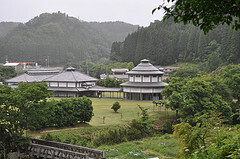 What was unusual about it was that farmers created a theatrical troupe in the 19th century and keep it as their tradition in rural areas of Kyusyu region. 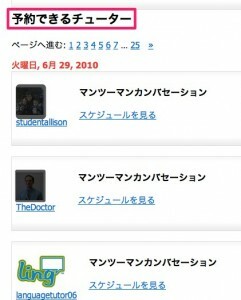 I was interested in that show and planned a trip to Seiwa village this month. Seiwa village is a quiet and remote place from towns where I would have never visited if not for the puppet show. The theatre is in the road station building where tourists can buy local foods and fork crafts. Members of the troupe were 60-80 year-old-farmers who perform puppet shows on Sundays. Young members less than 60 years old are support members, and the local foundation for the Japanese puppet show manages the shows. They seemed like ordinary farmers, and their show was professional. They play 200 shows , and as many as 25,000 people visit the theatre in a year. Japanese puppet show (Bunraku or Joururi in Japanese) dates back to the 15th century, and there were many troupes all over Japan as they were pretty popular at that time. When a traveling troupe from Awaji visited the Seiwa village around 1850, villagers bought some of the puppets and learned how to perform them. Ordinary farmers practiced and performed puppet shows several times a year for a long period of time. However, as time had passed and the puppet show lost its popularity, the tradition nearly eradicated at the end of the 19th century in Japan. But residents in Seiwa revived the tradition in 1902. 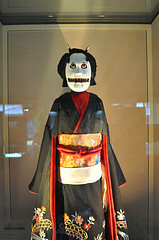 The Japanese puppets have unique features compared to western puppets. They are about half life size and require three people to perform. The main person takes part in the head and right hand, the second person handles feet, and the third person moves only the left hand. The eyeball, eyelids, mouth, joints, and hands move lively and create myriads of expressions on them. A person called Gidayu tells the story, along with Dayu who plays Samisen. The title of the show was “Keisei Awa no Naruto.” The story is about a girl who travelled to find her parents. A treasure sword was stolen from a castle in Awa. Jurobei, a samurai, who worked for the Lord was ordered to find the treasure. He and his wife Oyumi left their 3-year-old daughter with her grandmother and left for Osaka. There, Jurobei disguised himself as a burglar to find the stolen sword and became a fugitive as a result. One day, a 9-year-old girl visited Jurobei’s house as a pilgrim. The girl was traveling from Awa to Osaka alone to find her parents. When Oyumi listened to her story, she realized that the girl, Otsuru, was her beloved daughter. She almost blurted out the truth, but managed to control herself because they had been on the run for several years, and she would involve her daughter if she told her. The girl had many difficulties traveling alone and felt miserable without her parents. She saw Oyumi as a mother figure, although she didn’t realize it, but Oyumi turned her down. Oyumi gave her some money to make her go home and chased her away. Afterthe agonizing turmoil, Oyumi couldn’t bear to let her child go, and she left her house to find her child. A little while later, Jurobei rescued a pilgrim girl from burglars on the road and took her home with him. When they came home, Oyumi wasn’t there because she was searching for her daughter. Not knowing that the girl was his own daughter, he happened to suffocate the girl to rob her of money. He didn’t mean to kill her, but he pressed a little bit harder to silence her. When Oyumi returned home, she told her husband what had happened and asked him to look for their child together. Upon listening, it dawned on him that the girl he suffocated to death was his own daughter. Oyumi wailed in sorrow and blamed herself that if she hadn’t turned Otsuru down in the first place, the accident would have never happened..
She set fire to her daughter’s body as thieves broke into their house, and they ran away somewhere grieving the permanent separation. It’s amazing that Keisei Awa no Naruto was first performed in 1768, and we can enjoy the show in this modern era. There are many types of entertainment now, but our basic emotion for loveand family hasn’t changed. Therefore, this show was timeless and touched people’s hearts for a long time. I was also moved how passionate the villagers were to carry on the tradition. 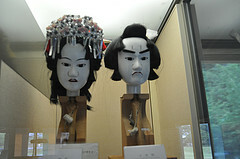 Japanese Puppet shows are scarce now, and it must be hard to practice during their work. Their hard work seems to be rewarded as lots of people visit their show now. 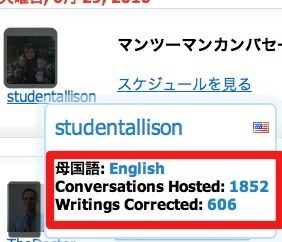 The show was spectacular, but also, we are touched by the villagers’ enthusiasm for the show.